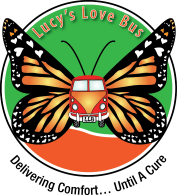 Lucy's Love Bus delivers comfort to children with cancer by paying for any therapy that helps to balance traditional cancer care and improves the quality of life for a child. We offer funding awards in increments of $500 for anyone who was diagnosed with cancer before the age of 21 years, either currently undergoing treatment or suffering from the late effects of cancer treatment. We connect families to local integrative therapists and pay practitioners directly for their services. Please click here for our FAQs about our program. We are currently accepting applications for children in the New England area. Many cancer treatments are still under experimentation, and many of their side effects can be debilitating. The therapies we provide funds for- such as acupuncture, massage, therapeutic horseback riding, nutritional counseling, Reiki, meditation, art and music therapies- offer children the opportunity to heal their spirits along with their bodies. Lucy's Love Bus offers children and their families the love, understanding, and comfort that they need while going through cancer treatment and beyond.